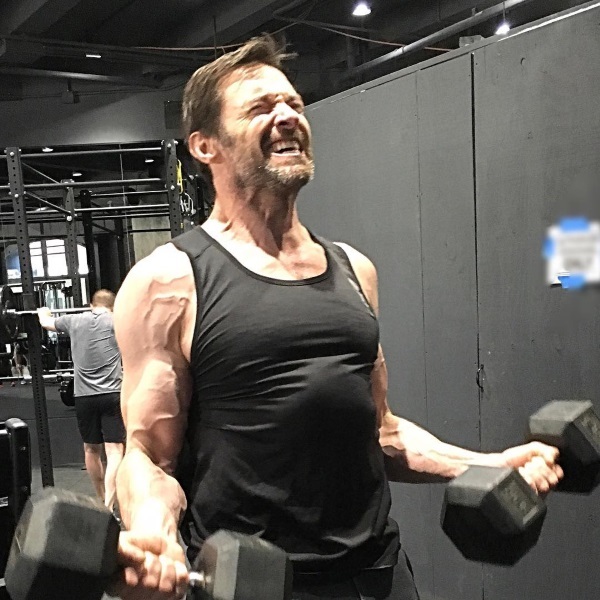 Though superstar actor Hugh Jackman isn’t exactly what you think of when you think “instagram model” he’s looking pretty impressive in training for his role in the next installment of Wolverine 3. We’re always huge fan of this Jacked-man (get it?) whenever he starts showing off his insane physique and lifting habits. He might just be our favorite musclebound celebrity only second to Dwayne “The Rock” Johnson (because – well, come on. You can’t beat The Rock’s size). The movie’s slated to start shooting in May at a rumored New Orleans location. While this doesn’t give Jackman too much time to train his physique so far looks pretty promising. For his last X-men film, The Wolverine, he went through some extreme bodybuilding-esque measures to get as dry and cut for his shirtless scenes as the unstoppable beast that is Wolverine. Judging this picture he’s shared – we can expect to see the same kind of of monster conditioning by the time the new one hits theaters.